Over the years there have been many trusts set up and agreements made by local inhabitants who left large sums of money or more frequently large amounts of land to the community. The rent from this was to be used for the benefit of the inhabitants of the area. From around 1160 the Lord of the Manor was allowed to hold a Market which was recognised by King Henry II. In 1432 a charter between Sir John Bohun and the Burgesses of Midhurst and “Grant of Borough Court and Market Tolls” was given to the Burgesses of Midhurst. In 1551 a further charter was made between Sir Anthony Browne and the Burgesses to make a gift of a plot of land on which to build a Market House approximately 70 feet long and 30 feet wide. “The Charitable Trusts Acts, 1853 to 1894” and “The Municipal Corporations Act, 1883” sought to try and regularise schemes whereby the people of the Towns had been given property and land, the ownership of which was assumed to be the Lord of the Manor. Often property and land were being sold, sometimes fraudulently. 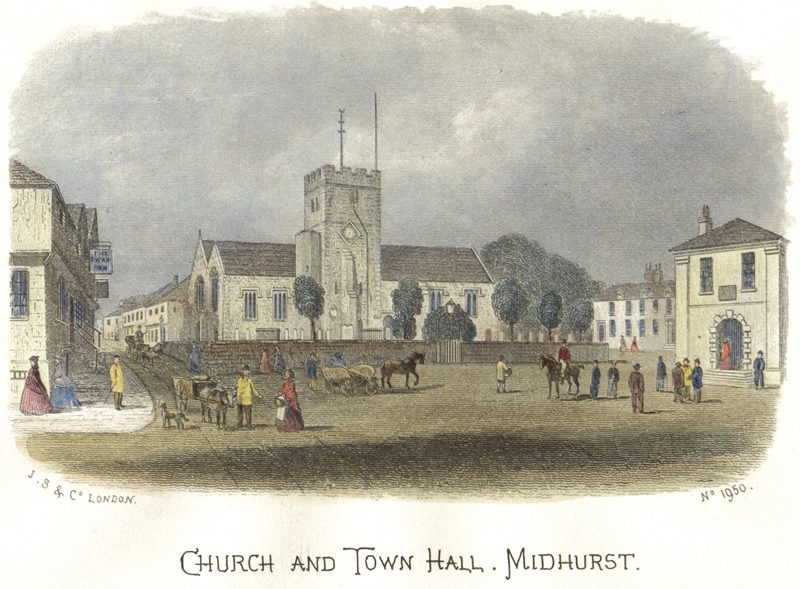 The Charity Commissioners Scheme for The Midhurst Town Trust was sealed on the 4th February 1910 but only after a considerable amount of investigation and a Public Inquiry to agree the ownership of the Property associated with the “Town”. In addition to the Old Town Hall and the Square, the commissioners Schedule of Property included the Stocks, the Pound, the Town Mace and Constables Staves. In more recent times the Town Trust has acquired a few further items, details of which can be found by using the links alongside giving a more detailed history. Today the Trustees meet four times a year and still abide by the original Schedule of the Charity Commissioners with only one amendment in over 100 years. There are currently seven trustees: one representative of the Lord of the Manor, three representatives of Midhurst Town Council, and three co-opted trustees who reside in Midhurst. Copyright © 2013-2019 Midhurst Town Square. All rights reserved.